Cabra Hall, located on Loyola University’s Broadway campus, is four blocks from the main campus down historic St. Charles Avenue. 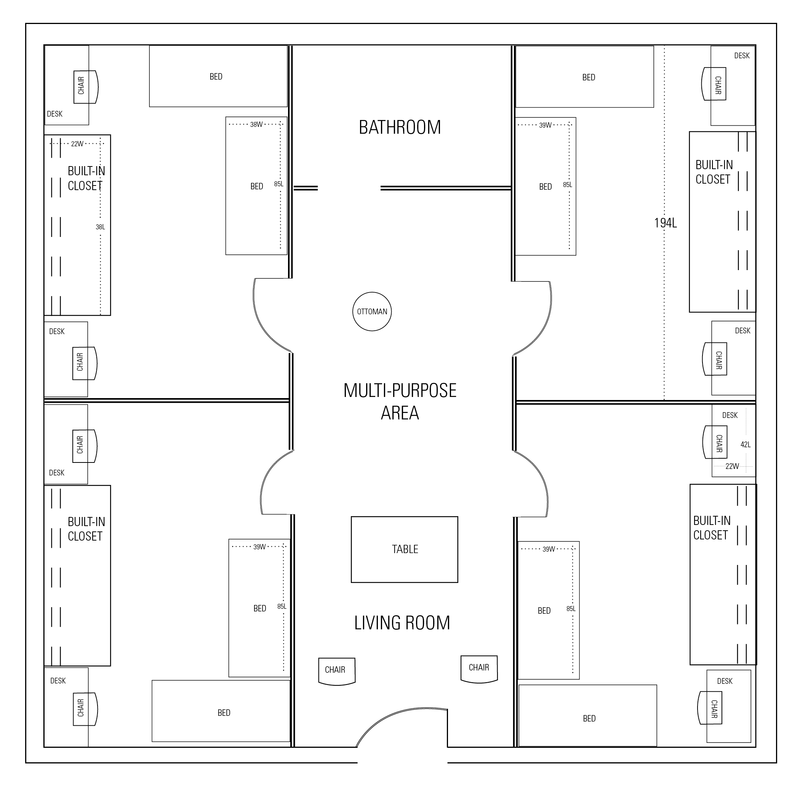 Each apartment accommodates 6 students who share 2 bathrooms, and a living room. Each bedroom is furnished with two single beds, two desks, two closets, basic cable service, and wireless internet. The living room is furnished with moveable soft seating, a media console, and end table. Cabra is centrally heated and air-conditioned. Laundry facilities, a study/conference room, community lounge space and an on-site workout room are also available.